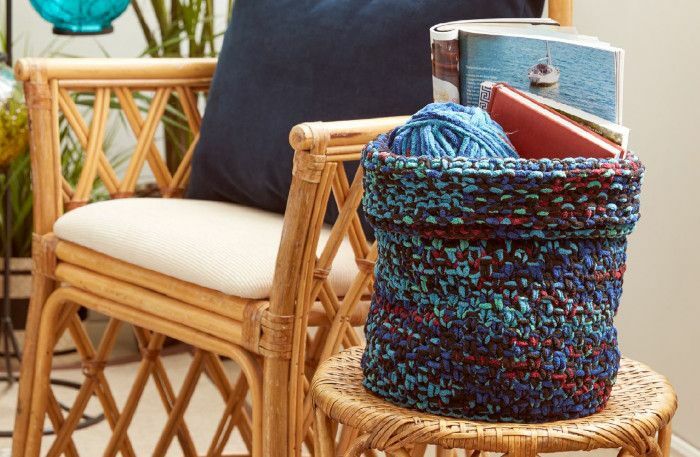 A gorgeous knitted storage basket in beautifully soft Bernat Blanket yarn. Hooks required Set of 5 size U.S. 11 (8 mm) double-pointed knitting needles. Size U.S. 11 (8 mm) circular knitting needle 24'' [61 cm] long or size needed to obtain gauge. Stitch marker.